A young man was arrested Thursday on suspicion of trying to steal a woman’s backpack at a Valencia Park transit station, prompting a brawl during which he suffered a minor stab injury. 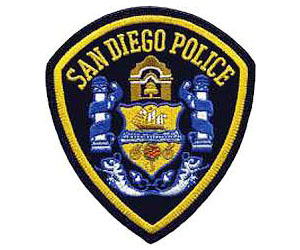 David Monegro, 22, allegedly confronted two women waiting for a trolley at the depot in the 6200 block of Imperial Avenue shortly before 9:30 a.m. and grabbed one of their backpacks, according to San Diego police Officer Frank Vali. The three then got into a scuffle, during which Monegro and one of the women both pulled knives, Cali said. As each tried to stab the other, the second woman picked up Mongero’s skateboard and hit him over the head, at which point her companion lanced him with the knife in the back of the neck, the officer said. Mongero ran to a nearby barbershop, where officers responding to the fracas arrested him a short time later. He was treated at a hospital for a small cut before being booked into county jail on suspicion of robbery, Cali said.